Sure, Rock of Ages has a small-town girl livin’ in a lonely world and a city boy born and raised in south Detroit, but it also has a fabulous, flamboyant and wildly endearing German development heir by the name of Franz, who is going to hit your funny bone with his best shot. 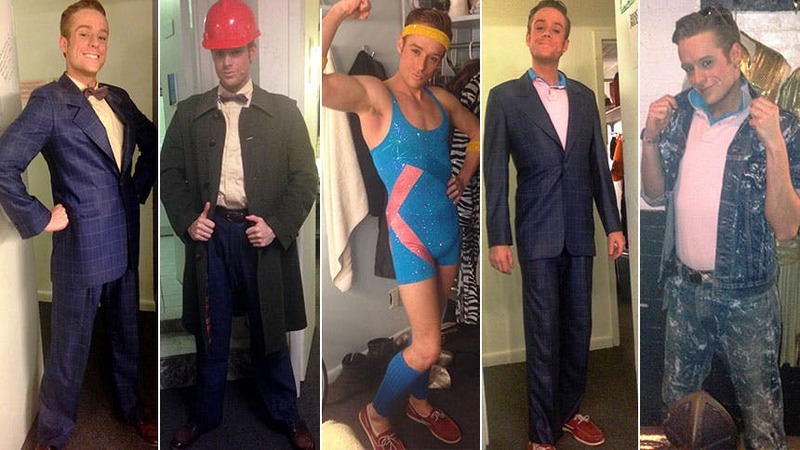 Canadian transplant Cody Scott Lancaster has been playing the fan favorite at Broadway’s Helen Hayes Theatre for years (after starring in the Toronto production), and he’s such a hoot. 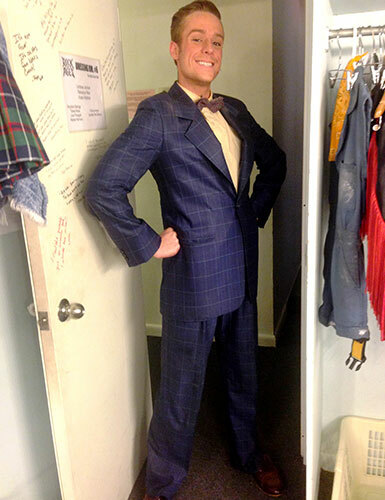 Below, Lancaster shares with us five costumes from the show that chart Franz’s evolution from buttoned-up to bedazzled. Franz is the son of a German developer, so he's very dapper at first. 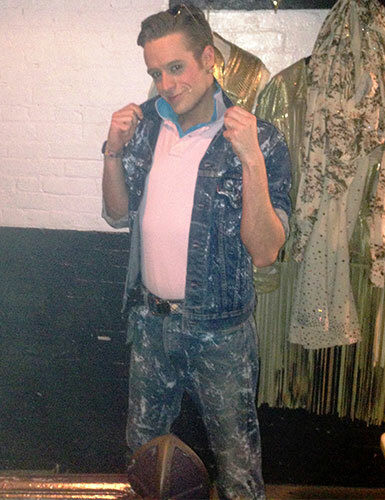 This is the only costume I wear in Act 1! 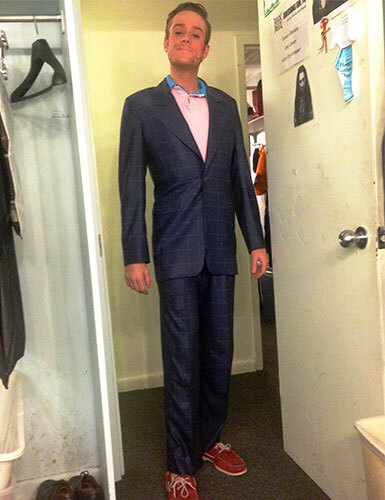 As the show goes on, and Franz gets more comfortable in himself, he dresses a bit edgier. First, by replacing his dress shirt with two polos, and his traditional German dress shoes, for Sperry Top Siders. 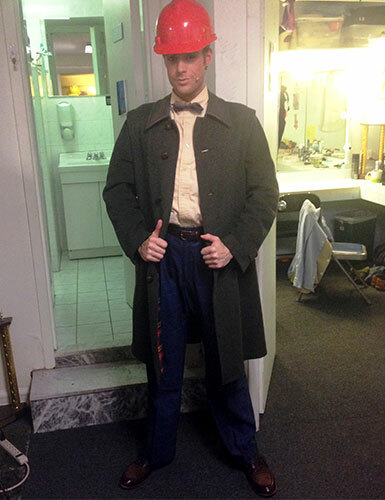 At the top of Act 2, we’re at a construction site, so I add my hard hat and jacket. ‘Hitting you with my best shot'! The best Franz costume in the show, the bedazzled unitard! I've worn the same one every night for over 4 years now! 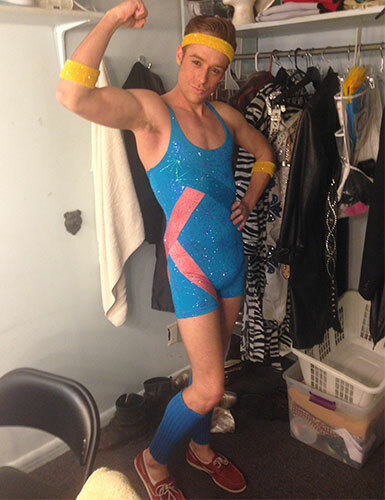 See Cody Scott Lancaster and his bedazzled unitard in ‘Rock of Ages’ at the Helen Hayes Theatre.